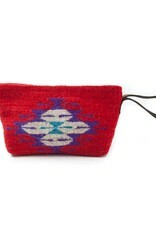 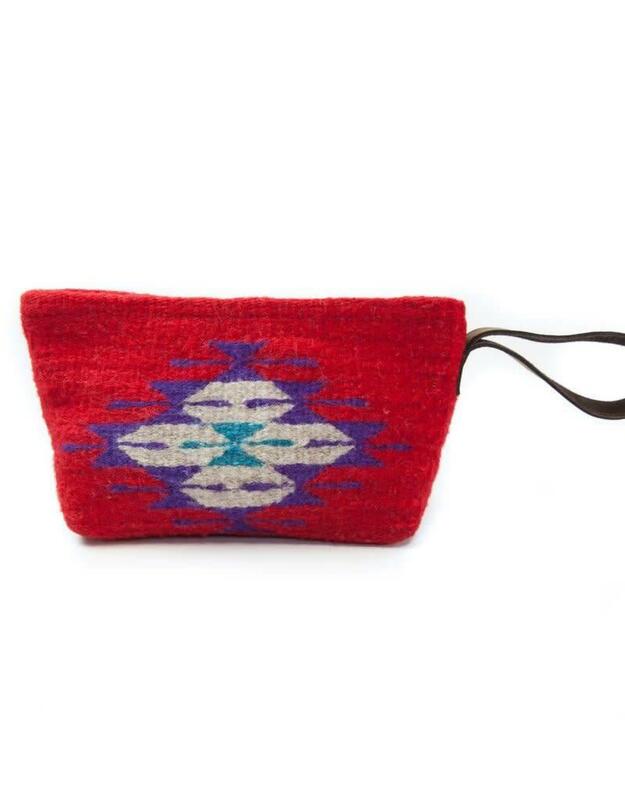 This wristlet clutch is perfect for the woman on the go who loves the look of a clutch but needs to have her hands free, featuring a Zapotec butterfly design on brilliant red. 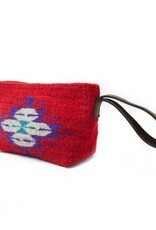 Learn more about MZ Fair Trade artisans. 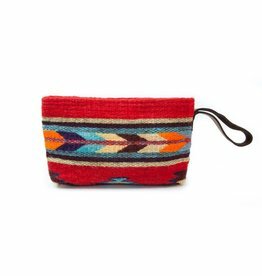 This wristlet clutch is perfect for the woman on the go who loves the look of a clutch but needs to have her hands free, featuring an arrow design in bright colors over scarlet wool. 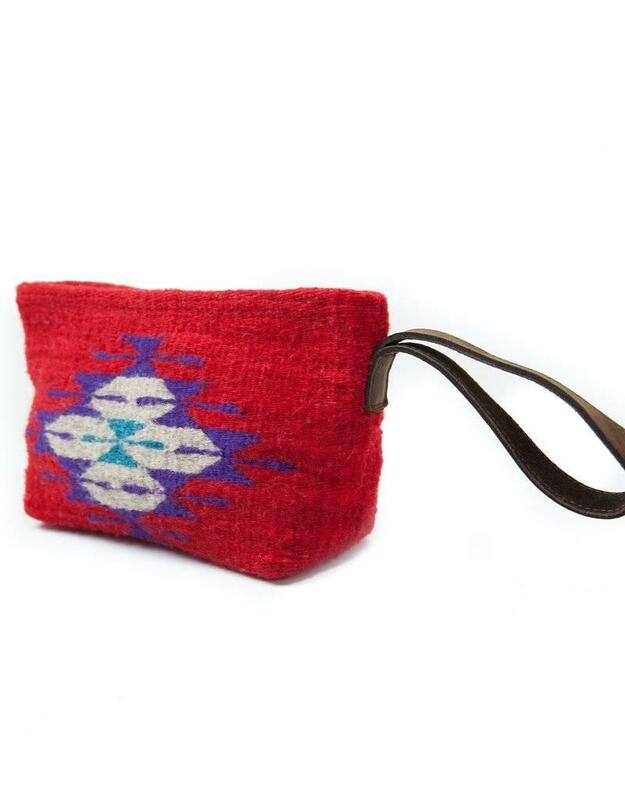 Handmade in Mexico.